We are so proud to invite back @armineh29 – Armineh Hovanesian to take over our Instagram account for the next 14 days. She has already selected @kristie_michele_art – Kristie Benoit’s image below for day 1 and it’s spectacular. 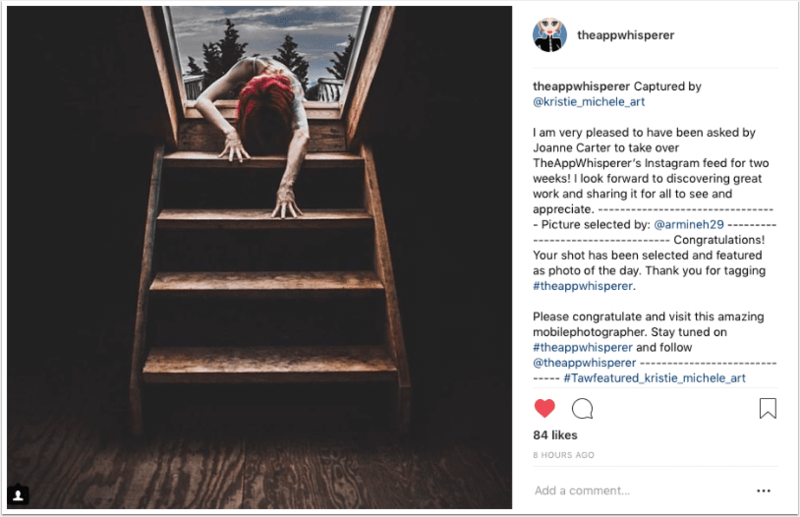 Please take a look at our @TheAppWhisperer Instagram account to follow all the goings on and please also tag your images with #TheAppWhisperer, so that they can be found and potentially featured”.